As close neighbours to the MacEwan University campus, and surrounding downtown Edmonton community, we overhear multitudes of stress stories from students on a daily basis. From writing to fill the white space on your 3000-word paper, to cramming your mind with the chapters for your next exam, to watching your never-ending list of assignments continue to grow – we get it; the stress is never-ending. This has inspired our team at Nomiya Noodle Bar to do our own studying on how to fuel your minds and give your hungry stomachs the nourishment they deserve. Since university is synonymous with instant ramen, you can probably guess what we’re going to say next. Yes! It’s time to quit your instant noodle habit and come by for a taste test of the good stuff. The best part? 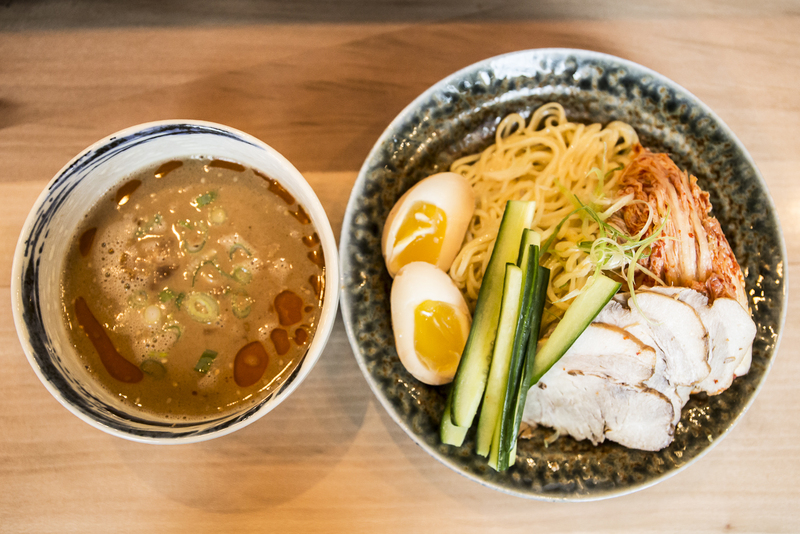 Our noodles are now made from scratch at Nomiya Calgary Trail, and are delivered to our kitchens each morning to give you the freshest, most authentic Japanese noodle experience. Ready to find the bowl that’s right for you this exam season? Let’s begin. Our Tan Tan is a solid 10/10. 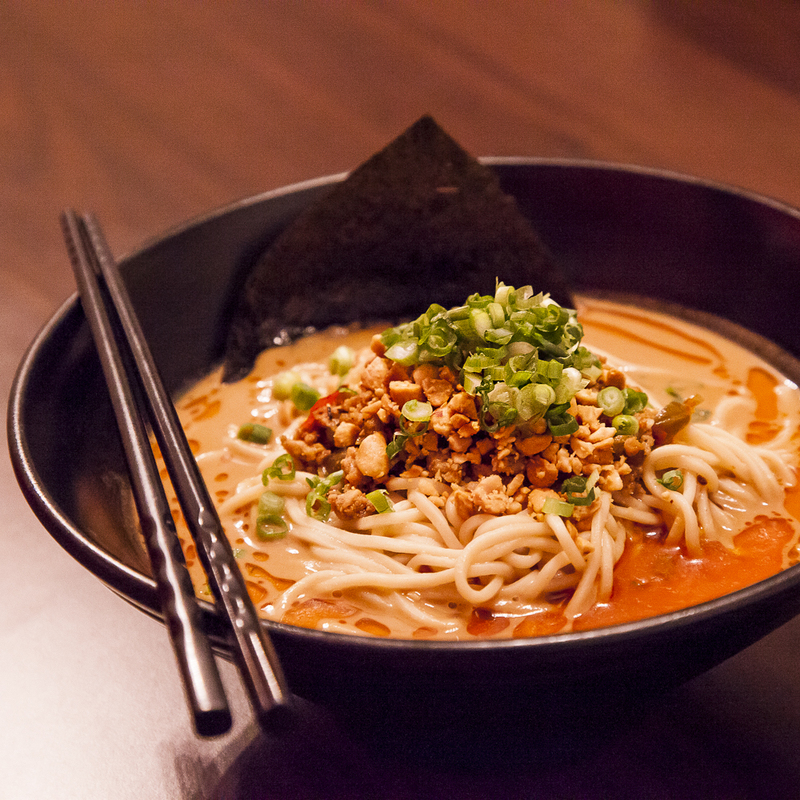 This ramen is flavoured with our homemade peanut paste and spicy sesame. See the layers? It’s topped with spicy ground pork, finely crushed peanuts, green onions and a crisp side of nori. It’s no doubt that this bowl will be your ultimate guide to finding joy in the little things. Struggling to stay awake? 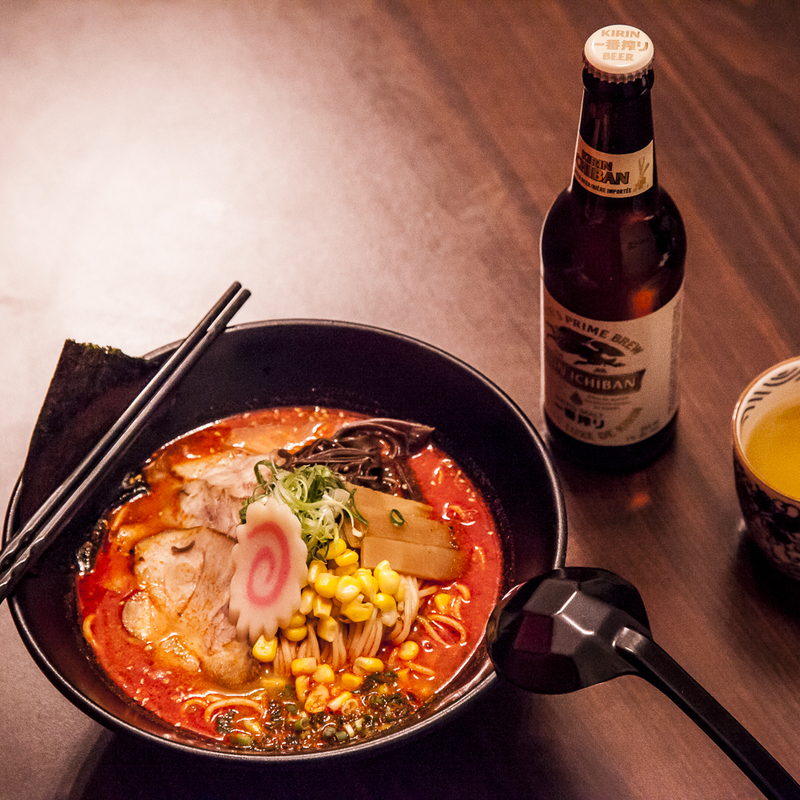 Instead of chugging another cup of coffee, slurp your stress away with our Spicy Garlic Miso ramen. Our special blend of fireside chili peppers will be sure to keep your mind alert and ready to tackle the next item on your to-do list. We’ll give you bonus marks if you try this hearty bowl with a crisp bottle of beer. 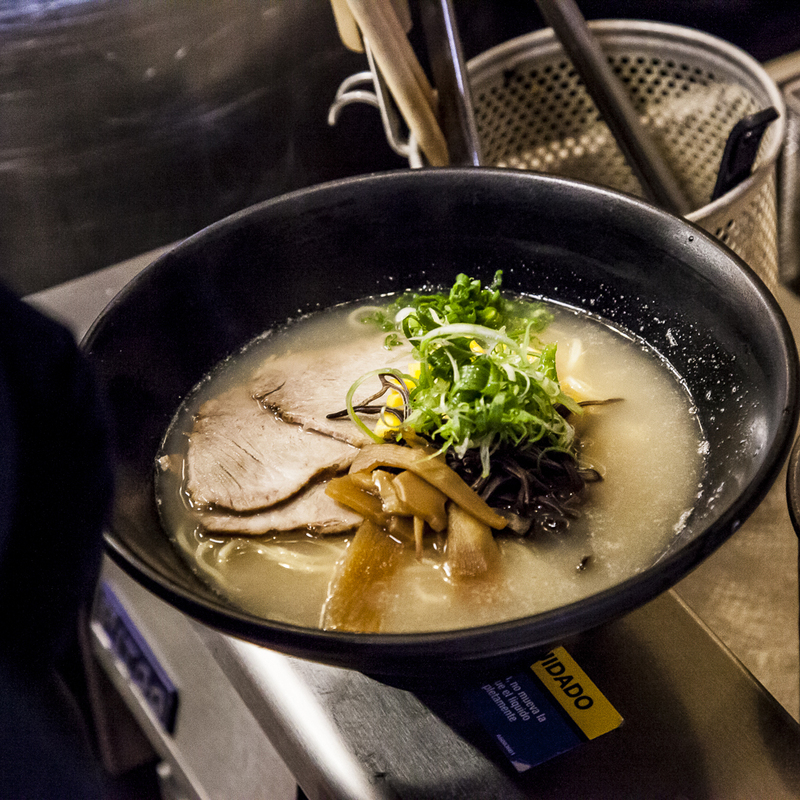 Check out our Show Stopper-Shio ramen that’s ready to satisfy your deepest hunger. 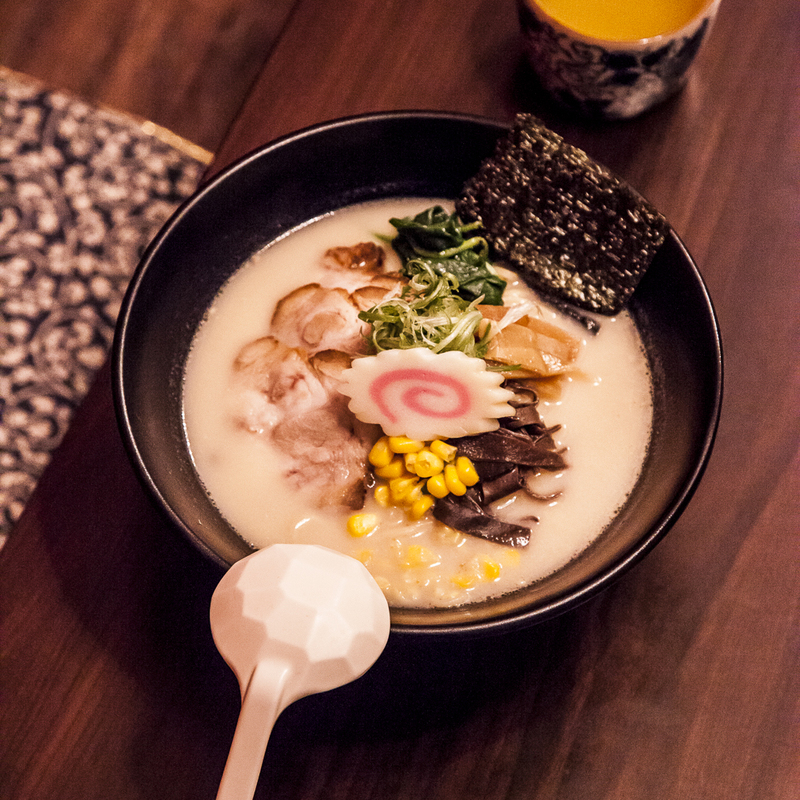 The tonkotsu based soup is seasoned with a homemade Shio (sea salt) flavour that gives a well-balanced taste of pork in a light, creamy broth. The simple and savoury consistency of this bowl will always be awarded a solid A+. Sometimes, all you need is love during exam season. Let the heart of all our ramen, Tonkotsu, take care of you. Our broth is simmered for 8 hours at the bare minimum to give you the smoothest and tastiest milky base. For added nutrients and a guaranteed rejuvenation session, enjoy this bowl with a hot cup of green tea. Look no more for a work-life balance. It’s time for you to take control of getting rid of your exam jitters by going on an adventurous food trip with our Tsuke Mein ramen. This interactive dish invites you to dip the noodles, kappa, chasu (stewed pork) and soft boiled egg with the broth at your own pace. There are even more bowls to choose from, so with all of the cramming you have in-store, remove the ‘what to eat’ stress from your schedule, and fill up with an artfully crafted bowl of Nomiya ramen that’s sure to be tastier than Ichiban. 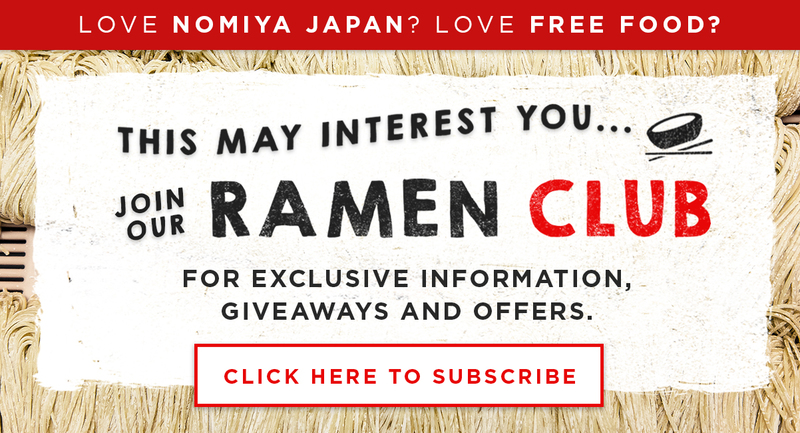 Be sure to sign up for our newsletter to be the first to know about our upcoming deals and promotions, or even win your favourite bowl of ramen for exam season. We wish you the best of luck with your studies!